SEOUL, June 1 (Yonhap) — South Korea plans to increase diplomatic pressure on North Korea over human rights issues, including the case of three people from the South believed to have been held in the communist nation for decades, a senior official said Friday. The move could further exacerbate the already frayed relations between Seoul and Pyongyang. 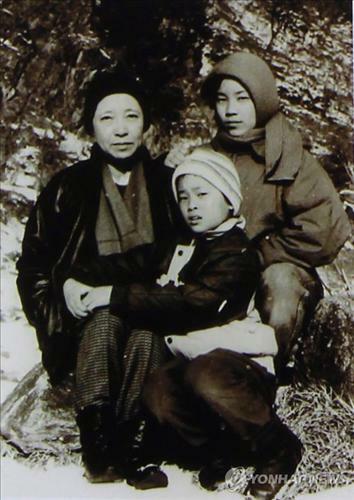 An immediate focus of the campaign is expected to be on the case of Shin Suk-ja and her two daughters who are believed to have been held in the North since 1987, a year after her husband, Oh Kil-nam, fled the communist nation. Oh claims his family was lured to the North in 1985 via West Germany where he was studying. SEOUL, May 30 (Yonhap) — North Korea has lashed out at the United States for its recent annual report critical of Pyongyang’s dismal human rights conditions, calling the move a “product of the U.S. hostile policy” toward the North. “We bitterly condemn the despicable human rights report worked out by the U.S.,” the foreign ministry said in an English-language statement carried late Tuesday by the country’s official Korean Central News Agency. The ministry claimed that the U.S. report is based on rumors concocted by a handful of traitors and criminals who left their homeland, referring to North Korean defectors in the South. South Korea is home to more than 23,500 North Korean defectors. Many of them have testified about a wide range of human rights abuses in the communist country, including torture, public executions and political prison camps. The report said that North Korea subjected its 24 million people to rigid controls over many aspects of their lives and that there continued to be reports of a vast network of political prison camps in which conditions were often harsh and life threatening. Amnesty International, a London-based human rights advocacy group, also estimated in its separate annual report last week that up to 200,000 prisoners were held in horrific conditions in six sprawling political prison camps. The North has flatly denied accusations of its alleged rights abuses, describing them as a U.S.-led attempt to topple its regime. “The U.S. unchanged human rights racket against the (North) is, in essence, a product of the U.S. hostile policy toward the (North) to isolate and stifle at any cost its socialist system,” the foreign ministry statement said. It also accused the U.S of being the “world’s worst human rights abuser,” claiming the U.S. has massacred hundreds of thousands of innocent civilians in different parts of the world through aggression and interference. SEOUL, May 31 (Yonhap) — North Korea “can’t have” the status of a nation possessing nuclear weapons, South Korea said Thursday, responding to a report that North Korea recently revised its constitution to proclaim itself as a nuclear-weapon state. “At first, nuclear-weapon state status is in line with the terms of the Nuclear Non-Proliferation Treaty (NPT), but North Korea itself has admitted that it is not a member of the NPT,” foreign ministry spokesman Cho Byung-jae said. North Korea backed out of the NPT in early 2003, right after the outbreak of the so-called second nuclear crisis in late 2002. Under the 2005 agreement, North Korea pledged to give up its nuclear programs in return for security guarantees and economic assistance from five nations participating in the six-party talks. But Pyongyang boycotted follow-up negotiations by making a series of unacceptable demands. There are concerns that North Korea, which conducted nuclear tests in 2006 and 2009, may soon carry out a third nuclear test to make amends for the failed launch of a long-range rocket on April 13. North Korea has been under U.N. sanctions following the two nuclear tests. “As North Korea continues to ignore promises with the international community and breach international laws, it will only deepen its isolation,” Cho said. The text of the North’s amended constitution reads that its late leader Kim Jong-il, who died last December, “has turned our fatherland into an invincible state of political ideology, a nuclear-armed state and an indomitable military power, paving the ground for the construction of a strong and prosperous nation.” The revision was made during a parliamentary session in April. The North’s previous constitution last revised on April 9, 2010 didn’t contain the term nuclear-armed state. 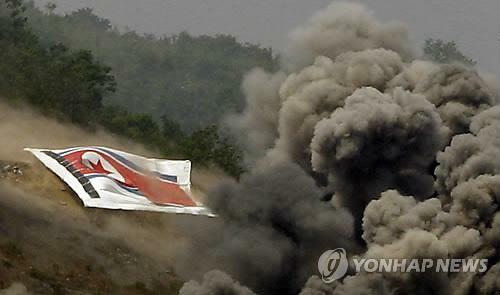 Some analysts in Seoul said the North Korean constitution’s proclamation of a “nuclear-armed state” is expected to cast further clouds over the prospects of resuming the long-stalled six-party talks that bring together the two Koreas, China, Japan, Russia and the U.S.
SEOUL, May 26 (Yonhap) — North Korea’s western coast region is experiencing severe drought that could seriously affect food production this year, a report by the communist country’s state-run media said Saturday. The (North) Korean Central News Agency (KCNA), picked up in Seoul, said that if there is no rainfall by the end of the month, the drought will be recorded as the worst since 1962. It said from April 26 onwards, the capital city of Pyongyang received 2 millimeters of rain, while 5 millimeters fell in Haeju of South Hwanghae Province. The KCNA added that Sinuiju, just across from the Chinese border city of Dandong, reported getting just 1 millimeter of rain in the past month. The wire service said advanced weather forecasts indicate that little rainfall is expected in June, which can pose challenges for farmers in the region. WASHINGTON, May 25 (Yonhap) — A U.S. envoy will travel to Brussels next week to discuss North Korean human rights with the European Union, the State Department announced Friday. Amb. Robert King, the special envoy for North Korean human rights issues, will participate in the European Parliament subcommittee on the human rights situation in North Korea on Tuesday, the department said in a press release. King also plans to meet with officials from the European Parliament, the European External Action Service, nongovernmental organizations and countries that share their deep concerns about the human rights situation in the communist nation, it added. King is scheduled to return to Washington on Thursday after the three-day trip. 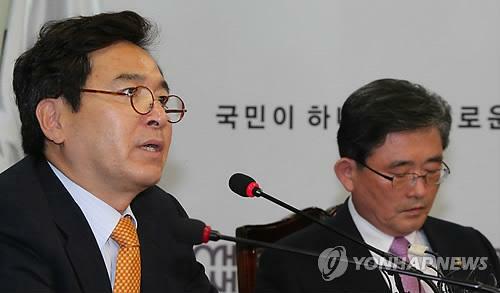 SEOUL, May 24 (Yonhap) — South Korea’s ruling party is considering a motion to strip two opposition lawmakers-elect of their parliamentary seats amid conservatives’ growing concern their alleged pro-North Korea stances could pose a threat to national security. The two, Lee Seok-gi and Kim Jae-yeon of the Unified Progressive Party (UPP), have been under a firestorm of criticism for refusing to give up their parliamentary seats despite findings the party’s primary voting to select proportional candidates was seriously rigged. Lee actually was arrested and convicted in the early 2000s of involvement in an underground party linked to Pyongyang, and concerns from conservatives are that their entry into parliament would allow them wide access to sensitive information on national security. Kim was also formerly convicted on charges of violating the anti-communist National Security Law. BEIJING — Chinese fishermen released by North Korea this week after nearly two weeks of captivity alleged that they were beaten, robbed and stripped and given starvation rations in a case that has opened up a rare public rift between the Communist allies. The North Koreans drained the three captured ships of fuel and also removed almost all the caught fish and the food and cooking oil stored for the journey. The fisherman were allowed out once or twice a day to cook small rations of grain, but were otherwise confined in a tiny storage room while their captors negotiated for ransom. The hostage takers had initially demanded $65,000 per ship, according to the ships’ owners, which apparently the Chinese refused to pay. Although none of the Chinese crew were seriously injured, their accounts of mistreatment were reported in the Chinese media on Tuesday, triggering calls for an explanation from North Korea. “Crew treated ‘inhumanely,’ ” read the headline Tuesday in the Global Times, a newspaper closely tied to China’s Communist Party. Moreover, the fishermen returning home identified their captors as North Korean military. The boats were seized May 8 while fishing in what the ship owners claimed were Chinese territorial waters and were forced to sail toward North Korea. Although it is not the first time Chinese fishermen have claimed harassment by North Koreans, the incident is by far the most serious and raises questions about whether impoverished North Korea is descending into Somalia-style piracy. The country is in a difficult transition period following the death of its leader, Kim Jong Il, in December and the elevation of his son, Kim Jong Un, who is in his late 20s. “If North Korean governmental authorities are linked to this incident, we could suspect that the central government’s control has weakened in the process of power shifting to Kim Jong Un,” said Lee Dong-bok, senior associate at Center for Strategic and International Studies in Seoul. China is North Korea’s main ally, the source of most of its fuel oil, investment capital and food aid, but Pyongyang has irritated its patron in recent months by ignoring Beijing’s calls for restraint in its weapons programs. The Global Times, among other Chinese media, have demanded an investigation and prosecution of the latest incident. “As lives are involved, the severity of the incident cannot be offset by national interests, including Sino-North Korean relations,” the paper editorialized last week. SEOUL, May 22 (Yonhap) — South Korean President Lee Myung-bak said Tuesday North Korea’s economy should first get on its feet before the two Koreas become unified again, stressing that Seoul never wants the communist neighbor to collapse. Lee made the remark in an interview with CNBC television broadcast in Singapore earlier in the day, stressing that the international standoff over Pyongyang’s nuclear programs and other issues can be resolved if the regime opens up and works together with the outside world. “It is not that we wish something will go wrong and North Korea will collapse because it will give South Korea a great burden,” Lee said in the interview. “If North Korea goes together with the international community, its economy can stand on its own and it would be most desirable to have a peaceful unification after that,” he said. North Korea has relied on outside aid to feed its people since the mid-1990s. Regarding the eurozone financial crisis, Lee said debt-ridden Greece should accept austerity measures demanded by the International Monetary Fund in exchange for a bailout package, saying South Korea went through harsher measures when it accepted humiliating IMF bailout loans during the 1998 Asian financial crisis. On Monday, Lee instructed officials to make thorough preparations to stave off any negative fallouts from the fiscal crisis amid concerns that Greece may not meet the terms of its bailout and drop out of the eurozone, a scenario that could destabilize the entire European market and beyond.